After making a modest initial upfront payment to secure the dispatch of your programme material and get you started, you can choose one of three plans to spread the balance of the total programme fee over either 6, 12 or 18 months to suit your unique requirements. 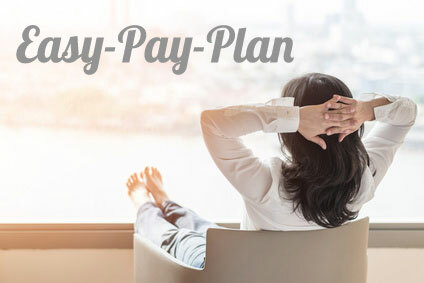 Our Easy-Pay-Plan offers require payments to be made either by credit card, debit card or PayPal account. We use PayPal's recurring payments functionality to debit your account on a monthly basis. Note that the recurring payments are made on the same day every month, so be sure to make the initial payment on a day that it will suit you to be debited each month thereafter. Please follow the simple two-step enrolment process below.